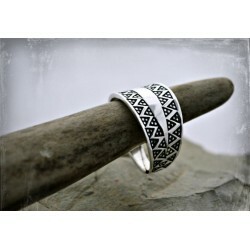 Impressive and solid fine silver Viking ring, handmade from scratch - replica of archaeological find from Gotland, Sweden, Viking period. Looks as good on male and female finger. Offered in custom sizes and allows for a small regulation of size.